Glass shop and artist consignment stores can break into the regionally specific industry with this free, printable business plan for glass art producers. [COMPANY NAME] - A Glass shop and artist consignment store is a new business in [CITY], [STATE]. [COMPANY NAME] will be run by [NAME] a veteran of 20 years in the glass shop industry. Additionally, has leveraged his regionally specific industry insights, into a niche store that has little or no direct competition. The reason for this is that [NAME] has designed unique glass products that use cutting edge technology to produce a product that has near 100% purifying properties, compared to the typical ~80% of other glass producers. With a selection of glass and goods not replicated in the city, superior customer service, and reasonable prices, [COMPANY NAME] will capitalize on this incredible opportunity. The owner has secured a location that offers very good foot traffic and easy accessibility. [NAME] will efficiently lay out the store to increase sales and give the customers the utmost in attention. This attention to detail, combined with his passion and knowledge of the industry, will help the store reach a profitable level quickly. The projected growth rate for [COMPANY NAME] is quite steady, with profitability estimated by year one and revenue of $240,000 by year three. The company will accomplish its expansion and development of new blown glass technology by utilizing a grant of $160,000. 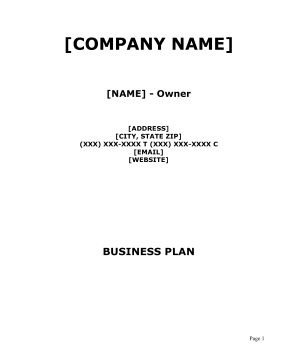 The following plan will delineate the aspects of [COMPANY NAME] that will allow it to become the premier glass shop in the [CITY] area. It has already aligned its self with the number one blown glass producer in the United States and will be the only shop in [STATE] to carry this line of superior blown glass. [COMPANY NAME]'s will continue to set itself apart by increasing the number of consigned artist to beyond thirty.